ExoMars is a cooperation between ESA and the Russian space agency, Roscosmos. Roscosmos is providing the Proton rockets to deliver both missions to Mars, contributions to the scientific payload, the surface platform of the 2018 mission, and Russian ground station support. The technical team behind the ExoMars spacecraft involves companies across more than 20 countries. The prime contractor, Thales Alenia Space Italia, is leading the industrial team building the spacecraft. 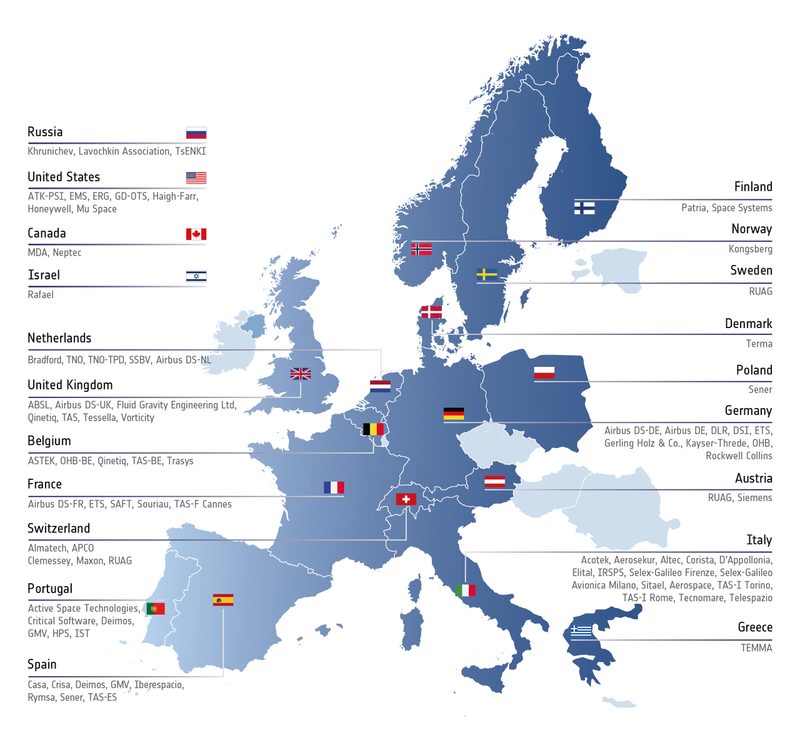 The map highlights ESA Member and Cooperating States within Europe that are contributing to ExoMars. Participating countries outside Europe are indicated at top left.